We procure and supply high quality metal products made up of Copper to our national and international clients. Working in close association of our clients, we arrange these products from reliable vendors. 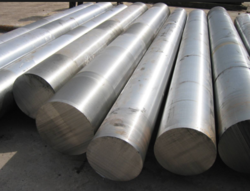 Widely used in different engineering related countries, our products are famous among our clients for their reliability, durability, high tensile strength and corrosion resistance. We manufacture and supply premium grade chemical resistant metals which are widely used in designing, manufacturing and applications of magnetically coupled pumps. Our range is designed for long life, leak free and seal less construction.